Our April Aging Well event (on FRIDAY, April 26) is a trip to Brookside Gardens. Registration required but space is limited. Register here Unable to register online? Contact Kathie Baker at baker.kathie.66@gmail.com or 301-270-8451. Please congratulate and thank the Village of Takoma Park’s new Co-Presidents, Andrew Penn and Laurie Welch, unanimously elected at the Village’s March 20 Board Meeting! Our next Walking Group walk is Wed., May 1. Please join us! Walks are the 1st and 3rd Wednesday of each month, weather permitting. See our calendar for more details. Scroll to the bottom of the page for a glimpse of our Facebook page! Need a ride to go shopping or to the doctor? Are chores that were once easy becoming challenging? Would you like to help neighbors facing these challenges? Welcome to the Village of Takoma Park, an all-volunteer grass roots, non-profit 501 (c)(3) organization of neighbors helping neighbors. Research shows that the majority of Americans prefer to stay in their homes and communities in spite of age or disability. The goal of the Village of Takoma Park is to provide intergenerational support to seniors and persons with disabilities who wish to live actively in the Takoma Park community. Though independent of both the City of Takoma Park and Montgomery County, the Village helps to promote and facilitate access to information about County and City services, and collaborates with the City and County in their efforts to serve residents aged 50+ as well as disabled residents of all ages, connecting them with resources, services and programs. Services (some free to all residents; some requiring membership) currently being either offered or promoted by the Village include transportation through the VillageRides program, friendly visits, monthly"Aging Well" events, "senior stroll" (walking partners), special support groups, errands service and help with small home repairs and household tasks. within Takoma Park have their own informal groups providing mutual support and community-building activities. 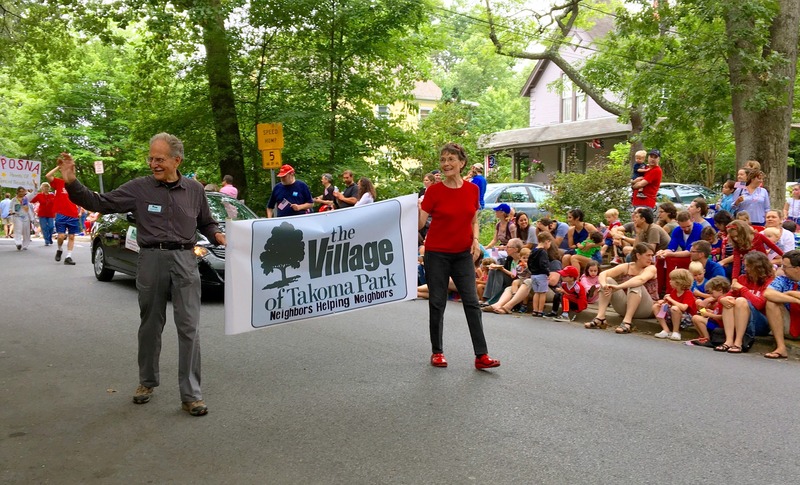 The Village of Takoma Park builds upon their successes and invites their residents to join the larger Village. Membership in the Village of Takoma Park is open to all residents of Takoma Park, MD. Dues are $25 per year. If this is a hardship, please contact us at 301-646-2109 or villageoftp@gmail.com. For frequently asked questions (and their answers), click here.